Steven is a journalist, a writer, and photographer. His life’s ambition is to bring compelling stories to a wider audience that will educate, inform, and cause a change in our collective way of thinking. Steven has always chooser powerful topics and this, ‘Stories From The Holocaust’, is based on this unwavering principle. Steven’s current project focuses on Eva Mozes Kor, a woman who not only survived Auschwitz, but also the tortures of Joseph Mengele. Eva’s is a story of hope, of forgiveness, and the power of life. There are 3 main aspects of the project. 1) First, Steven will be visiting with individuals who survived the Holocaust. His hope is to have them share their story, as Eva did, based off two questions- questions of hope. 2) Record and share those stories with the world. 3) Third, to bring these survivors to the community of the El Paso, Texas so that others may meet with them, sit with them, and hear their stories first hand. The reason for the GoFundMe is in order to achieve these three objectives he needs help from the community. He can’t make these things happen by himself. Here’s a detailed breakdown of what is needed and why it’s needed. – $5,000 for travel expenses to meet with survivors, in person. – $5,496.95 for the Nikon D850 Filmmaker’s Kit. Better equipment, better video. – $479.94 for editing software. – $2,599.00 for Apple MacBook Pro. Total cost of this project is $13,575.86. That’s what the GoFundMe goal is set at. Yes, there are rewards for this very important project. Any contribution gets your name in the video credits. $25 gets you a video copy of one of the interviews, prior to release, as well as screen credit. $50, or more, you will receive a copy of the first five (5) interviews, as well as screen credit, and a copy of the magazine that they plan to publish in connection with this project. 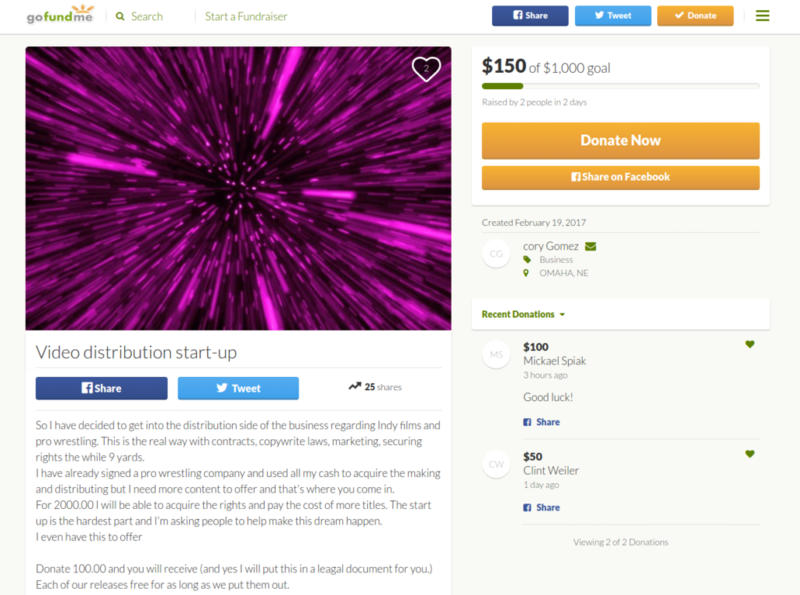 $1000 or more will get you all previous plus you (Donor) will become a part of the production. You’ll actually be interviewed in person, or over the phone. Interviews may become part of a special part of the film(s) at the end. What makes this project different is these are not just stories of survival, but the focus is more about hope. 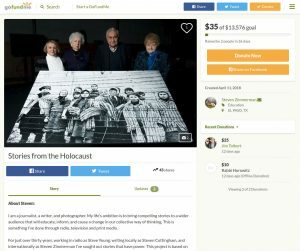 These important stories have already been shared with groups such as Yad Vashem, the Shoah Foundation, and others. Help bring these powerful stories to life and consider funding Steven’s GoFundMe today. Have you ever desired a return to the nostalgia of your youth? The horror and scifi that would air with late night horror hosts like Creature Feature, Ghost Host, or whoever your local host was? Sure they were bad movies but they were so good too. Now is your chance. 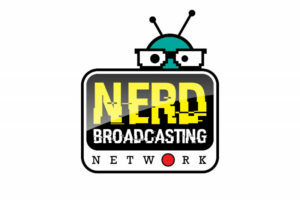 Someone is creating a new channel called the Nerd Broadcasting Network. 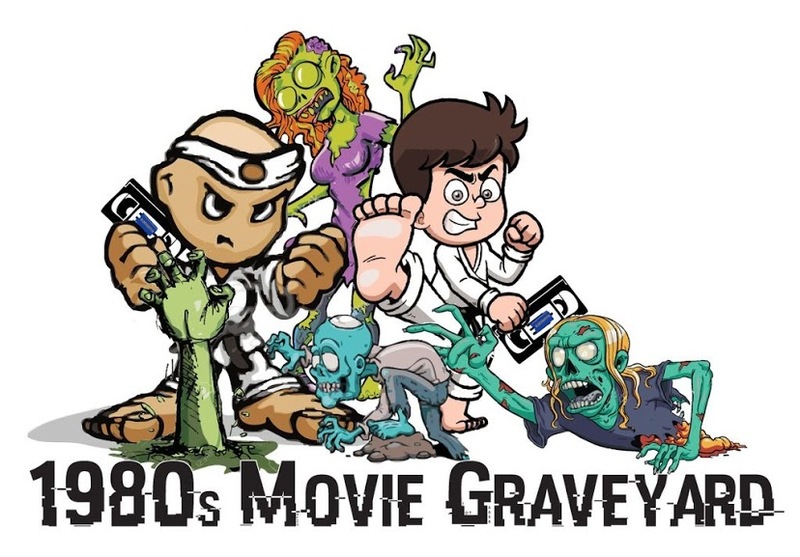 A channel that will resurrect many of those old films as well as allowing producers a chance to get new independent horror and scifi onto your television. The NBN is ready to go with over 100 films and a dozen series already contracted. They even have connections with someone who has access to over 20,000 films. The only hiccup is that they are still on celluloid and it costs money to convert them to digital. That’s where the Nerd Broadcasting Network comes in, they need your support now on Go Fund Me. What a crazy list and it is only the beginning. Steve Wollett, the president of Nerd Rage News Inc. is putting together some old and yet new. Uncut films of yore that will titillate and excite the diehard fan. There of course is a catch. He is short on the funds needed to fulfill the dream and make this channel a success. He needs about $50,000 in order to go live. Contracts are secure and the groundwork has been done but in order to get the app development and films digitized he needs a little help. As such he is running a GoFundMe to raise some of the capital needed. Go check it out and by the end of July we just might get the channel of our dreams. I’m a big fan of my local electronics recycler. Especially when I had to get rid of my giant 27″ tube TV to make room for my flat screen. 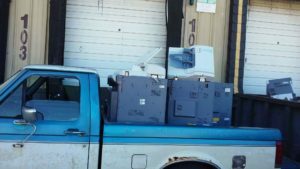 There’s a team of brothers in Harrison, AR that need your help on GoFundMe to buy a truck for their Ewaste business. Evage LLP is an Ewaste recycling facility that has been established for 2 years. The goal is very reasonable at $5,000. If the Go Fund Me goal is met will be enough to purchase a box truck to further expand the business. Evage LLP needs your help to expand their services. 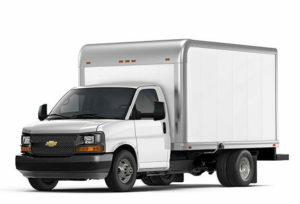 Help them purchase the much needed box truck in order to keep up with demand. What happens when you just get married, move, and it all of a sudden goes terribly wrong? Thanks to crowdfunding sites like GoFundMe, you turn to them, that’s what happens. Imagine getting married, moving to a new state, but suddenly the car breaks down. Next thing you know there are a series of unfortunate events including: 50 mile towing, purchasing a new alternator, getting a hotel room, and finally renting a car. 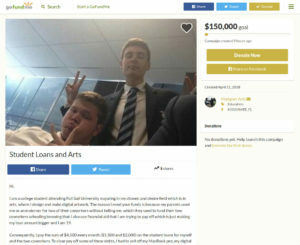 The GoFundMe goal is set at a reasonable $2,000. 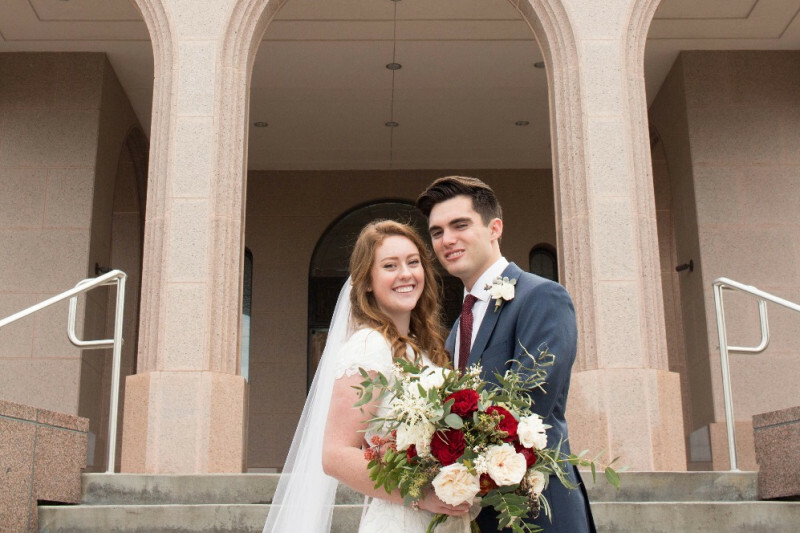 Help this couple get back on their feet and back on the road to happily ever after. This is what the happy couple looked like on their wedding day before all this happened. If goal is funded the smiles will surely return back to their faces. What is video distribution? Good question 🙂 Video distribution is “the process of distributing online videos to various video and social media portals. They are websites such as Facebook, YouTube, Myspace, Vimeo, LinkedIn, etc. There are numerous video and social media sites on the internet (zeroone.com/video-marketing-tips/what-is-video-distribution/).” The startup has already made some progress by signing a contract with a pro wrestling company. The rewards are really good especially at the $100 level. Right now the goal is close to 10% of the way there. There’s a long way to go to get to the Go Fund Me goal. Getting off the ground is the hardest part in business. There’s a plan in place, this startup just needs a little bit of cash to hit the ground running. Please consider contributing to their page today.